Are you fed up with reading long, boring paragraphs upon paragraphs upon paragraphs of text and just want to get up and running in Python as soon as possible? Well, you're not alone. I hate having to read through masses of text for very little benefit and hence, In A Day Books was born. The goal is simple: Teaching you how to program by cutting the theory and diving straight into 'hands on', practical programming. CSV's: How to work with CSV files to export data from Python into a Spreasheet, and vice versa. Web Scraping: How to grab data from Websites using Python. Databases: How to work with a database in Python. GUI's: How to create a Graphical User Interface with Python. Want to learn a specific topic? Not a problem – you can skip chapters you don't want to learn because different code is used in each chapter. This is also mega helpful if you get hopelessly stuck in a chapter as you can just move on to the next. If you want a dictionary containing every little bit of Python, this book is not for you. 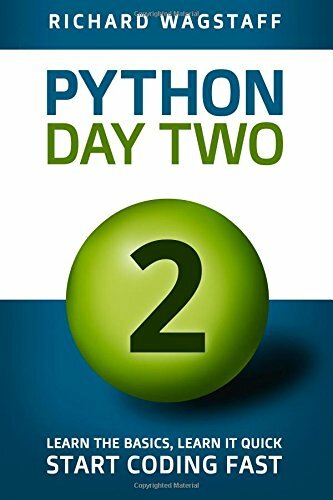 This book has been written for those who want to learn Python fast and want to learn by actually coding programs instead of reading about them. So, are you ready to start coding? Are you a complete Python beginner? If so, check out Python In A Day to get you started (The first book).